In this episode of In Focus we interview Prof. Justin Lin, Professor of Economics at Peking University and the founder of China Center for Economic Research to explore new ways of financing development in Africa, and if there is a need to re-think development financing. In Focus, a television series produced by UONGOZI Institute, presents an in-depth overview into the key issues affecting sustainable development in Africa. 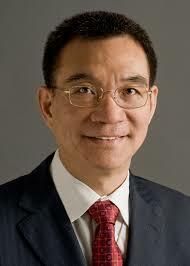 Prof. Justin Yifu Lin is a Chinese Economist. He studied economics in Peking University and later went to pursue Ph.D at The University of Chicago. After finishing his doctoral dissertation, he returned to Beijing and became a professor at Peking University, founded the China Center for Economic Research (which later upgraded as National School of Development) and was appointed Chief Economist and Senior Vice President of the World Bank where he served from 2008 to 2012. After that, he returned to Beijing and to his research at Peking University. His main academic theory is called New structural Economics.